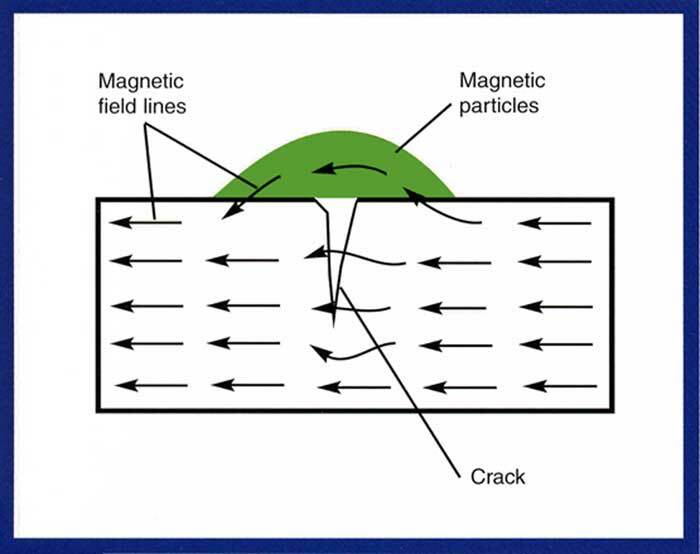 Magnetic Particle Inspection, or sometimes called Magnafluxing, involves “magnetizing” or placing a magnetic field into a part, and then reading the strength of the implanted magnetic signal. 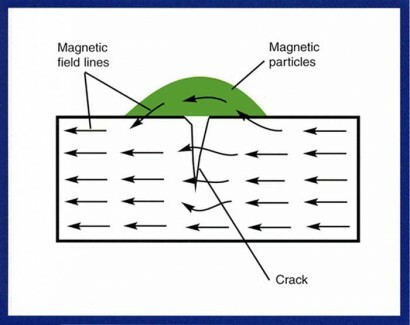 Since areas with surface defects will allow air into the cracks or scratches, and air does not magnetize as well as some industrial materials, a reading of the magnetized area should reveal any defects. While Magnetic Particle Inspections are technically a form of Non Destructive Testing (NDT), they aren’t necessarily considered a Remote Visual Inspection (RVI) technique because of the nature of the inspection. The Magnafluxing inspection procedure needs to be conducted extremely close to the inspectable area and even when defects are found, they would require an additional RVI tool (such as an inspection camera) to see the defects if found on internal components or in hard-to-reach places. Inspection technicians are also limited by the amount of materials that can be inspected and they have the chore of demagnetizing parts after inspection.